Apart from her Councillor role, Fiona was the Orange Electorate-Woman of the Year for 2006 and is involved with - the Health Liason Committee, Fairy Sparkle Garden, Star Search, Ronald McDonald House (previous board member), Community Radio Show(2003-2005), Justice of the Peace, Toastmasters and her Guest Speaker appearances. Fiona has also recently become an Author with her first book in publication called "Growing Great Families" which can be found on the Back 2 family basics web-site. 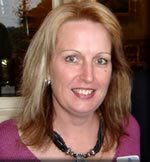 In 2008 Fiona ran for re-election on her own ticket- Team H. She was successful in being re-elected and only 100 votes short of her second candidate Gerald Power being elected also. If she had of been successful with the second candidate Orange Council would have had its first Aboriginal Councillor. 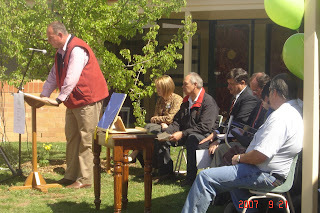 * Australian Rural Leadership Course- Vision Task needs assessment for families. Set up a Pilot Project with Police, Public School and Council to provide bikes and helmets so that bike riding could become part of the sport curriculum at no cost to students. Lobbied for changes in phone directory, reduced speed on distributor road, better meeting times, shared space, and much more. Amongst many other things... Visit this site monthly to stay updated on what Fiona has been involved in with Council. Please find in this document the completed profile with full policy information and many other extras added in. My son Tristan, daughter Kayla and I visited the Orange and District Early Education opening of the extensions and renovations. The early education program centre shares a building with the Council's Yarrawong Childcare Centre. It was started by a small group of parents who were searching for local therapy and educational services for their children with disabilities and developmental delays. Council committed $50,000 for this project with further funding coming from the Federal Government. This organisation is run by volunteers as a not for profit organisation. This is a truly committed group of people who want the best for their children and rightly so. The extension is quite significant in size and has a varied amount of uses from a gymnasium, consulting rooms, meeting areas and toilets. It was a very proud moment for the children's parents I would imagine when they cut the ribbon into the extension. A valuable facility further increased by and better utilised due to the hard work and commitment of the ODEEP committee and the support of a community who got behind this project.